Minimum Wage, Bankers’ Accountability, etc. 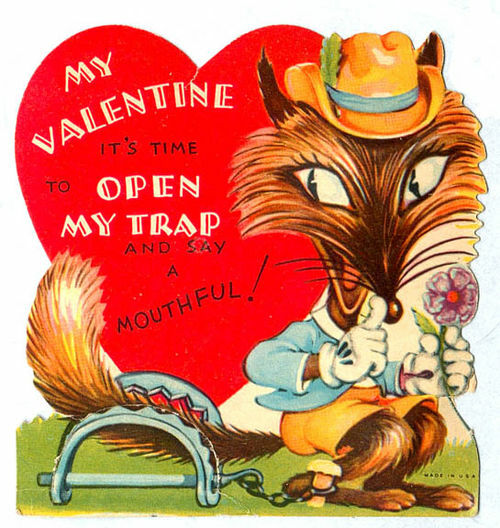 (1) Strange 1920s Valentines: For more like today’s image, visit Retronaut (which is worth visiting anyway). I discovered these last year and sent myself an email to be delivered in time to post one for VDay this year. (2) Minimum Wage: One of the highlights of the State of the Union was Obama’s call for raising the minimum wage to $9/hour. (If only he would actually fight for that.) But why so low? In our July/August 2012 issue, Jeannette Wicks-Lim argued that the minimum wage could be raised at least 70%–to at least $12.70 an hour–without job loss or other downsides. I just posted the article here. Next Next post: Raise the Minimum Wage or Cut Low-Wage Taxes?